Joachim Low’s Germany reaches new lows against the Netherlands. The German football team set a number of unwanted records after their shocking 3-0 loss to The Netherlands. 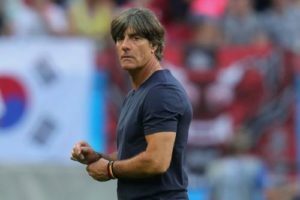 Joachim Low took charge of his 168th game as manager of the German national side, which was a record for the highest number of games a German manager has ever taken charge of; but this was one positive record sandwiched by a number of negative ones. Before now, modern day Germany have never fired blanks in three consecutive matches. Also, they have 5 defeats in 2018, the joint most number in a calendar year in their history. Three of their wins have come against Saudi Arabia, Sweden and most recently, Peru. It is worthy to note that they had to grind out wins in these matches. For example, they had to rely on a late stunner from Toni Kroos to beat the Swedes, while they had to rely on a last-ditch goal-line clearance to beat the less-fancied Saudi Arabian team. The negative records have not ended yet. For the first time since 2002, Die Mannschaft have lost to the Orange. The Netherlands have also beaten Germany with a 3-goal margin for the first time in their history. Memphis Depay makes Germany pay. On a historic night for Dutch football, one familiar face was at the heart of every attacking move by the Orange. Manchester United fans have fond memories of his Genesis, but not his exodus. Memphis Depay continues to show his rejuvenation after those forgettable days in United. His near-perfect performance was almost flawed by his profligacy in front of goal, as he tore through the German defence like knife through butter. His impact was highlighed by the fact that he had a hand in all goals. He played the corner, which the forgotten Ryan Babel instinctively reacted to and hit the post after some shoddy defending from Germany. But Virgil Van Dijk was not going to be denied from point-blank range. Memphis Depay scored the second of the night himself, as he glided through Germany’s static defence and stroked the ball past Manuel Neuer. He was later denied by the crossbar in stoppage time. 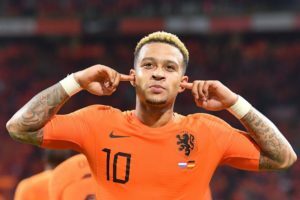 But there was no obstacle in Wijnaldum’s sight when he collected a pass from Depay, majestically went past two German defenders before scoring the Netherlands’ third goal. While Germany are going through this bad patch, one man might be giggling in front of his TV screen. Germany still haven’t scored in a competitive game since Ozil’s controversial retirement. He will no longer be the ring bearer of the brunt of the blames of the National team. Maybe for once, they will deservedly mete out blames to their defence, which looks like it is as vulnerable as an immunosuppressed person with HIV and SCD these days. Ozil’s absence in the team was as conspicuous as the lack of creativity in the German team. Chances were at a premium, and when they came, they were squandered. Germany have still not found Miroslav Klose’s heir. Miroslav Klose, the legendary German striker is one who has really big boots for others to fill. Timo Werner has been viewed as a potential heir for quite sometime now, but he has labored to even score, let alone replace Klose. Timo Werner is a young player who still has a lot of years ahead of him, and he is not the finished material. Another thing we can not call Werner is; ‘clinical’. He is one of those strikers who need to be continually fed before they can score. He is not the ‘Diego Costa type of striker’, and needs more sights of the net before he can make it bulge. He has good link-up play, which was evident in last night’s match. But even Manuel Neuer has good link-up play. Link-up play is the least of the German team’s problems right now. Timo Werner’s difficulties in front of goal is further underlined by the fact that he has just scored 1 in his last 10 games for Germany. Also, Low should have realized by now that Mark Uth is not the solution to Germany’s goalscoring problems. Joachim Low made drastic changes to the team and formation that started against the Netherlands, when the Germans turned out against France. 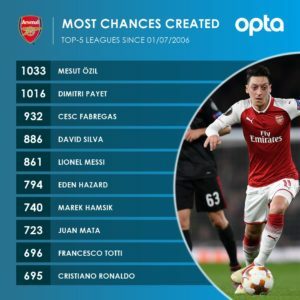 The unimpressive Thomas Muller was deservedly dropped. As the game went on, they were composed in possession, fluid in movement and improved defensively against Les Bleus. Whilst on the counter, Leroy Sane cut a cross from the byline that hit the hand of Presnel Kimpembe. The referee pointed to the spot, and Toni Kroos stepped up and dispatched the penalty, with Lloris’ efforts to save the ball proving futile. That was the breakthrough goal for Germany. Their first in a competitive game since their crash from the World Cup. France were out of sorts in the first half and Mbappe was their only threat with his pace on the counter. 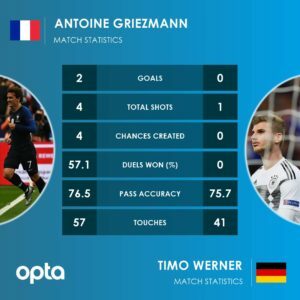 But in the second half France were improved and it was just a matter of time when Lucas Hernandez crossed to Griezmann who guided the ball into the net with a looping header. Griezmann sealed the win when he scored a 78th minute penalty after Matuidi had tumbled from pressure from Hummels. The penalty looked soft, but secured the win for France. 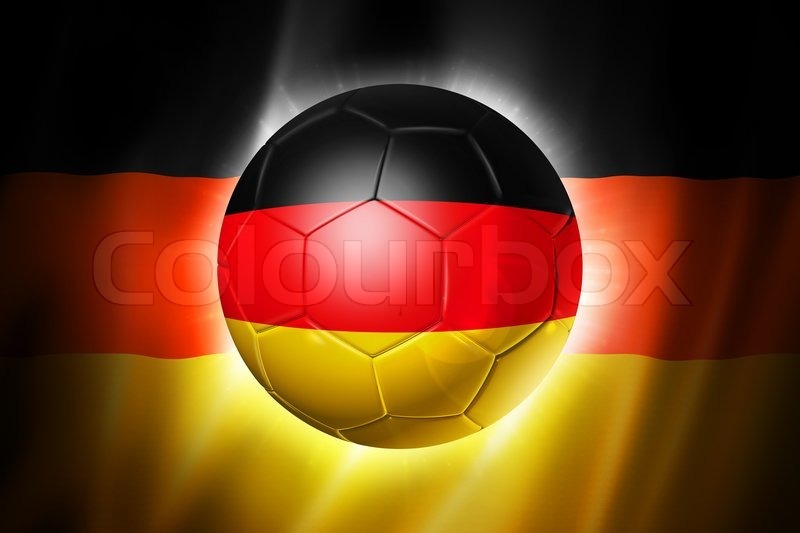 A draw would have been a fairer reflection of the game, as Germany dominated the game for large spells. It’s back to the drawing board for Joachim Low and his men who have now extended their winless run to four games. This is the first time in nearly 20 years Germany will be winless in four successive fixtures, with the last such run stretching from October 1999 to June 2000. This is also the first time Germany have suffered defeats in two consecutive competitive matches since 2000. In their 11 games in 2018, Germany have managed just one clean sheet; a 0-0 draw with France in September (9%). The last year that Germany had a worse percentage (0%) of clean sheets was all the way back in 1964. 2018 is now officially the German national team’s worst year ever, at least in terms of defeats suffered. Germany have now lost six matches in a calendar year for the first time in their history. Die Mannschaft have lost to Brazil, Austria, Mexico, South Korea, the Netherlands and now Les Bleus in what has been a nightmare 2018. If the German team wants to end their disastrous run, they would have to relearn the art of defensive solidity. These days, their defence is like a fence made from nylon. You can tear through with just little external force. At the heart of the disastrous German defence is Jerome Boateng, a disaster always waiting to happen. He will have to be phased out from the team and replaced with a defender who is not error-prone and more agile; or he steps up and transforms into a mainstay in defence. Joachim Low should not be sacked. The Germans have just had a bad run of games in 2018 against teams who were either too good, or too prepared. What Germany needs now is a new/refreshed group of players who are ready to give their all for the national team. Majority of the old guard should be phased out of this German team. Low should not be scared of making drastic decisions like he did against France . He also needs to find a clinical striker, a more reliable defence line; and a creator to replace Ozil. Low will also need to instill defensive solidity into the full backs who have been continuously hurt by waves of counter attacks in recent games. Lastly, he will need to understand that players should be picked based on form and ability, not reputation or the player’s clubside. These applies to the Bayern Munich players who were picked even with their poor run of form before the international break. Joachim Low has done it before. He can do it again. Where do you think Joachim Low missed it? Drop your opinions on the comments box.